After the hectic ending to Fall semester, followed by a nice, long break this year for Christmas and New Year’s, Intersession acts as a month-long “pause” of sorts in the Library’s regular, super-packed routine of the regular semesters. It’s a time when we get started on new projects, spend extra time finding out what’s going on out on the web and in the world, and using our findings to do our jobs better. Plus, with a manageable number of classes in session, we still get to see and interact with students who are looking to get ahead in their studies, which keeps us in touch w/ what you guys need and want out of your Library. Along these lines, yesterday I came across a neat website and an awesome resource on the web, particularly for fans of G.K. Chesterton*. Chesterton was a prolific writer, a Roman Catholic, a fine storyteller and a very wise man. He is often read alongside C.S. Lewis and J.R.R. Tolkien, although he was not part of the Inklings*, who were sharing ideas and stories just after Chesterton’s time. I own a few of his books (the Library’s collection of works by Chesterton far exceeds mine! ), however I have yet to really delve into his writings as I hope to. So you can imagine my excitement to stumble upon an entire online audio library of many of Chesterton’s works. This collection is part of LibriVox, whose goal it is to record audio versions of all of the books in the public domain. The site as a whole is an awesome resource unto itself — especially if you are an aural learner, and has as its pithy tagline: “acoustical liberation of books in the public domain” (header of the LibriVox website). If you’re a fan of Chesterton, or enjoy Lewis and Tolkien and are interested in another writer of stories and ideas who is a kindred spirit to those two great thinkers, take a look at/listen to the extensive audio collection of Chesterton’s works. If Chesterton doesn’t do it for you, have at the LibriVox Search Catalog to see if your favorite public domain writer’s works have been recorded and added yet. (Shakespeare, anyone?) And if you don’t see your favorite author from before 1922 (though there are exceptions to the public domain rule of “Published before such and such a date,” which are expounded upon here), volunteer to record his or her works yourself! 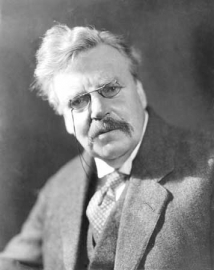 *These 2 links to information about Chesterton and the Inklings, I fully admit, are websites for organizations who are devoted to the work of both Chesterton and the Inklings, respectively. As such, their descriptions of their subjects are necessarily colored by their enthusiasm — however, I have found they are also quite factual, out of great respect for the people they are writing about. Comments Off on …aaaaand we’re back! Our Virtual Reference / Ask a Librarian services (Email, IM and 24/7 Chat) are all back as well. See the Ask a Librarian page for details, or just use one of the nifty widgets or links located on the left sidebar to access these services. 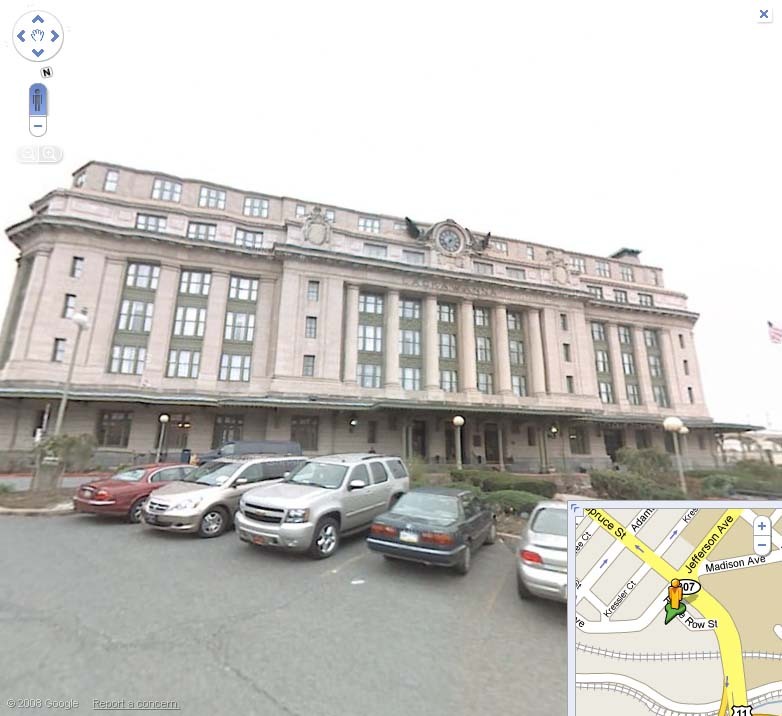 It’s even easier to find your way around Scranton, now that street-level photographic images of the city are available on Google Maps’ Street View feature. Using Street View, visitors to our area or even newly minted Scrantonians can get a feel for what it’s like to drive or walk down our streets. To use Google Street View, just go to Google Maps at www.maps.google.com. Search for an address you’re interested in, and then click on the orange stick figure right above the zoom bar on the left hand side of the map. You can drag the stick figure to “fly” over the streets, or just click on it to get into a full Street View image. 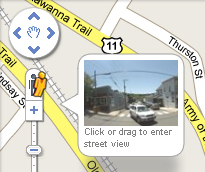 Once you’re in Street View, use your mouse or arrow keys to navigate through the entire 360-degree view. As usual, if you need help using Street View, just ask one of the friendly librarians at the Weinberg Memorial Library for help! You might notice that not all addresses or streets that you view in Google Maps have Street View images available – that’s because Google hasn’t yet photographed *all* of the streets in the Scranton area. While West Scranton is well represented, and major roads throughout the area are visible, downtown Scranton, the Hill section, and the University campus aren’t in Street View at this time. Google is constantly updating their maps, though, so keep your eyes open for Google cars on campus – you can spot them by the large cameras mounted on their roofs. Comments Off on See you in January! 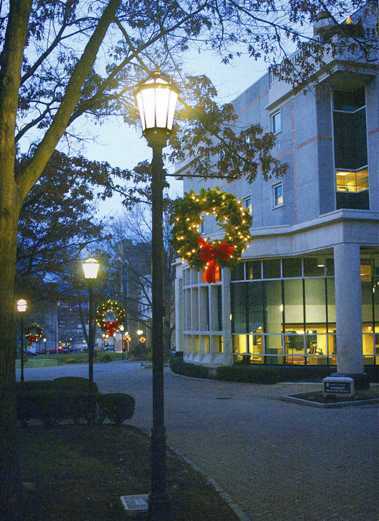 The Weinberg Memorial Library will close tomorrow, December 23rd, at 4:30 p.m. and will reopen on Sunday, January 4th. Happy holidays from everyone here at WML! 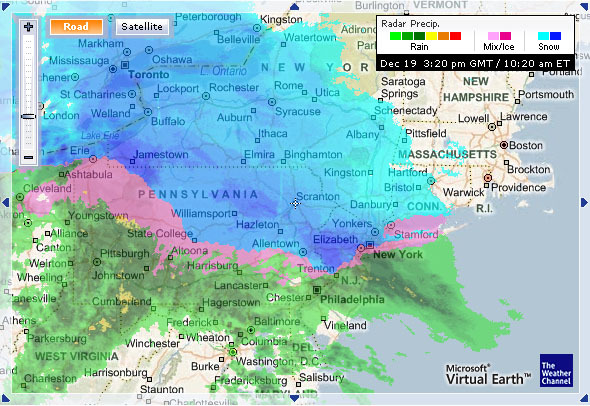 Because of today’s snowstorm, the Weinberg Memorial Library is closing at 12pm today, along with the rest of the University of Scranton. See you on Monday! Enjoy the Lincoln 200th Birthday Celebration! Comments Off on Enjoy the Lincoln 200th Birthday Celebration! “Forever Free: Abraham Lincoln’s Journey to Emancipation,” a national traveling exhibition that focuses on Lincoln’s quest to restore a Union divided by Civil War, opens at the Weinberg Memorial Library on February 9 through March 22. Organized by the Huntington Library, San Marino, Calif., and the Gilder Lehrman Institute of American History, New York City, in cooperation with American Library Association, this free exhibition shows how Lincoln’s beliefs about freeing the slaves were transformed by war-time developments. “Forever Free” is made possible by major grants from the National Endowment for the Humanities (NEH) and the Abraham Lincoln Bicentennial Commission, created by Congress and charged with planning the national celebration of Lincoln’s 200th birthday. Weinberg Memorial Library is offering a free one-day conference Saturday, February 14, 2009, 8:30 a.m. until 2 p.m. The conference will feature four speakers discussing topics such as Emerson and Lincoln, the Abolitionist Movement in Pennsylvania, the Underground Railroad in Northeastern Pennsylvania and will include an appearance by Abraham Lincoln, as portrayed by Jim Getty. 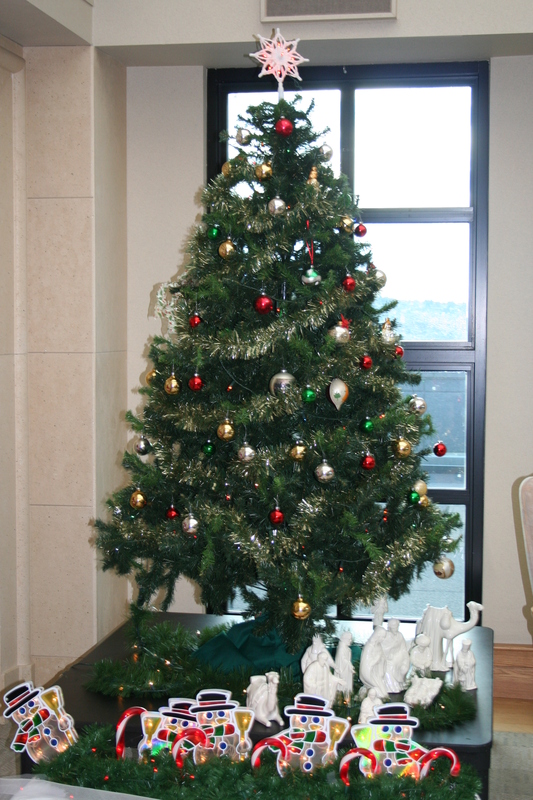 The conference will conclude with a 1 p.m. reception in the Weinberg Library Heritage Room to view the exhibit. The complete exhibit schedule can be found at http://academic.scranton.edu/department/wml/lincoln-event.html. Please contact Michael Knies, 570-941-6341 or Michael.Knies@Scranton.edu for more information and to register for the free conference. Please note that the Pro Deo room — aka the 24-hour room — closes with the library on December 23rd at 4:30 PM, and reopens on Sunday, January 4th. IM Reference Service via Meebo will be unavailable from Monday, December 15, 2008 through Sunday, January 4, 2009. The service will resume on Monday, January 5, 2009. 24/7 Chat Reference Service will be closed from 4:00 pm on Wednesday, December 24, 2008 through Thursday, December 25, 2008 for Christmas. It will also be closed from 4:00 pm on Wednesday, December 31, 2008 through Thursday, January 1, 2009 for New Year’s. The service will resume as usual on Friday, December 26th and Friday, January 2nd, respectively. I couldn’t help but feel proud to see the Weinberg Memorial Library so well represented on the University’s Christmas card this year, signed by Father Pilarz himself. The Pro Deo room never looked so welcoming. Here we are, in the thick of finals. All-nighters. Citation madness. Dum-dum lollipops from the Reference Desk. I know all about it — I’m the trusty librarian that is up at least half the night with you this week, at the Reference Desk ’til 2 am when we close. But boy, did I come across a gem of a website that I believe you will love as much as I do. Because we all love music, right? But of course we love very different kinds of music… And that’s where the brilliance of Pandora Radio comes in. This website allows you to create personalized, customized Internet radio stations that play only the music you love. When I first heard about it, I was very skeptical as to how user-friendly, effective or accurate such a claim could be. But I moseyed on over to the URL, where I was prompted to input a favorite artist or song. I humored Pandora, and typed in “Jason Mraz.” A station called “Jason Mraz Radio” started playing, with the first song as “I’d Do Anything” off of his first studio album, Waiting for my Rocket to Come. Okay, that’s neat, and I figured it would just play Jason songs in succession… But then, the second song began, and it wasn’t Jason, but a groovy rendition of “Over the Rainbow” by a Hawaiian artist whose name I can’t remember, accompanying himself on a ukulele — a version of the song I had heard about but never gotten around to looking up. A little pop-up from Pandora told me they were playing this song because, essentially, it “sounds” like Jason’s music. Well, it wasn’t Jason, but it was groovy in all the ways Jason is, and I was pleased. And the neat part is, now I have learned about an artist I never would have known about, for free, who plays the same kind of music as Jason — the kind of music I like. This is very cool indeed. So I started creating other stations, and decided it was well worth creating an account at the site, so I could save my stations for future use. Right now, I am listening to “Bluegrassy Instrumental” (one of the genre-stations they also offer), and I’m loving it. And when Pandora plays a song I like in particular, I have a few options: I can rate it w/ a thumbs up, so the station knows to play more songs like it, and I can also Bookmark the song, so I can remember the artist and album for future reference. There are also ways to interact with other Pandora Radio listeners, recommending songs, creating profiles, etc. This site rocks my socks, and it will rock yours too. Just trust me on that one. But you may ask, how does Pandora achieve this? How can a website or even an extensive database of music know what songs are really like other songs? That’s where the Music Genome Project comes in. I won’t go crazy trying to explain how the participants do what they do, but in short, they basically map the musical DNA of every song, characterizing and analyzing each song for many things like “melody, harmony, instrumentation, rhythm, vocals, lyrics” (taken from About Pandora — worth reading too). Then Pandora takes these DNA maps (as I’m calling them) and uses them to match songs with other songs, to create a stream of music that can continually be customized to fit your taste in that style of music. I think this is just awesome, and I felt the need to share it with all of you. We all love music, and this tool not only gives open access to the thing we love, but it enables us to discover artists and songs we might never have before. So, if you need music in the background while you work on papers and finals — for my part, certain kinds of music (like “Bluegrassy Instrumental”) help me concentrate — check out Pandora Radio. This is technology and the Internet at their best. In the midst of finals and papers, I thought I’d blog about some books I think are worth a read (post-finals, no doubt), especially if you’re a fan of the Harry Potter books. Even if you’re not a fan — and especially if you’re not a fan because you think they encourage occult practices — the following books are definitely worth your time. 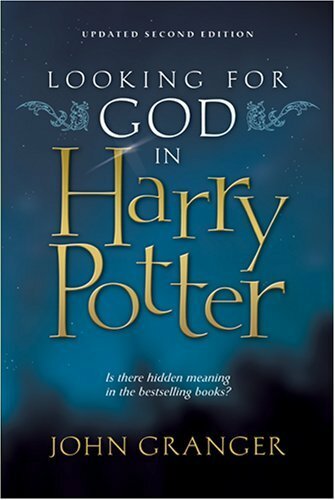 In particular, at least 2 of the 4 books I’m going to recommend focus primarily on faith and theology in Harry Potter, which makes them worthwhile reads for Harry Potter fans who try to seek out God in all things — which is one of the Jesuit ideals, by the way. I, for one, am a huge believer in the idea that God loves to reveal Himself through stories (all kinds), and the Harry Potter books are no exception. An awesome book (which blew my mind the first time I read it) whose main idea is that we are all “‘wired’ to respond to ‘stories that reflect the greatest story ever told'” (Publisher’s Weekly). 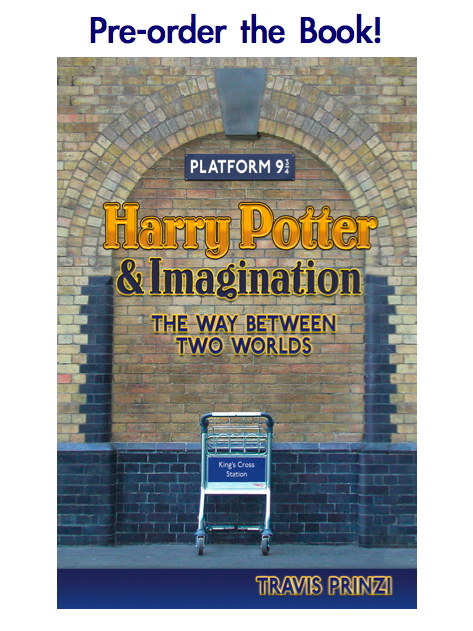 Granger argues that the story of Harry Potter is certainly one such story, and he explains why, using very specific examples from the books. This book focuses on the first 5 books of the series. I recommend this book, not having read it myself (yet), as a completion of John Granger’s take on the books. Written (and delivered as lectures around the country) after the release of Book 7, these lectures bring his “these books are a reflection of the greatest story ever told” thesis full circle to incorporate the rich contents of the 7th book. If you haven’t yet read Harry Potter and the Deathly Hallows (Book 7), it’s probably a good idea to hold off reading this book until you do. Here’s another book I haven’t read yet, but that’s because it hasn’t been released yet (it’s available to pre-order now). But if you go to the link for it, you can see the table of contents, and man does it look like an awesome book! It covers imagination, literature, faith, culture, politics, gender… all of which the Harry Potter story meets head on, without fear or apology. And the results of this meeting are why people keep reading the books — over, and over, and over again. Prinzi examines this meeting of story and life in his book, which is definitely on my must-read list. This book I just stumbled upon while collecting the links for the above titles, but I thought it sounded like a good one, and apropos since we are a Catholic Jesuit institution. It sounds worthwhile in particular because it offers a different perspective on the books — while Granger and Prinzi are both scholars (albeit dads as well), Brown is a mother first and foremost, which means her book is aimed at a family audience. She addresses among other things the books’ compatibility with the Catholic faith, and reveals an “attitude toward contemporary fiction that is both open and discerning” (Fr. Pierre Ingram, C.C. S.T.L.). 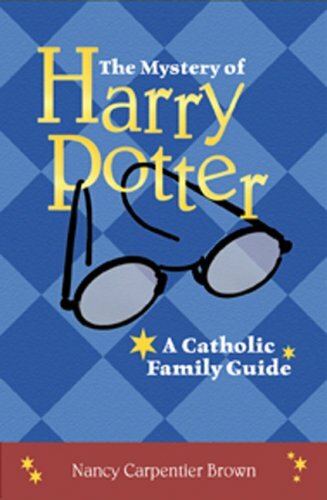 For any of you Catholic Potter-heads out there, this book is sure to flesh out the Catholic meaning of the Harry Potter story for you. All four of these books should be available in the Library later in the year, so add them to your “Must Read” list before returning to the world of finals and papers… Only 2 more weeks to go!